Feedback can cause an audience to cover their ears, and musicians to walk off stage in frustration, but it has also allowed some guitarists to create intense musical experiences. Jimi Hendrix harnessed it to great effect, but squealing feedback is not something you normally want at a gig. The trouble is, getting rid of it can affect the quality of the music. But now labour-saving software for sound engineering promises to make acoustic feedback a thing of the past. Researchers at Queen Mary have created a device that automatically prevents feedback in live performance, and allows bands who can't afford sound engineers to give feedback-free performances. During a performance, the sounds from the instruments and the sounds picked up by the microphones are routed to a mixer and adjusted. Sounds come in different frequencies, which is what determines whether musical notes are high or low. What sound engineers do is to adjust the volume of the different frequencies to get the best mix. After mixing, the sound is then sent back to amplifiers and speakers, but this sound can also be picked up by the microphones. The system is in a loop, and if at any frequency it is louder than the original sound picked up by the microphone, then the sound continues to get louder. Eventually the audio system gets saturated and a painful squeal rings out. Before a live show there is usually a sound check, where the sound engineer adjusts the mix. When it’s all finished the system should produce just the right sound, and feedback shouldn't occur. But the mixing doesn’t stop there. When the show starts, the engineer has to change the mix again in response to requests from the band, changes in the set-up and even changes in the acoustics of the room itself once it’s full of people. The deeo bass sounds may be too quiet, for instance, and so the sound engineer might turn them up. But now that the carefully-checked settings have changed, the feedback can return. So a typical sound engineer will make these changes, adjusting the mix of high and low sounds in each input channel from the stage, while lowering the volume whenever it seems that feedback might occur. It's a tricky process, and there’s often quite noticeable feedback or too dramatic of a volume change in the mix. This is where the new software comes in. Joshua Reiss and Enrique Perez of the Centre for Digital Music at Queen Mary, University of London have created software that prevents feedback from occurring and frees the sound engineer to focus on music quality. 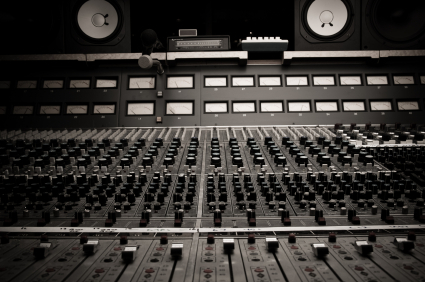 Given the preferred setting the engineer found in the sound check, the software automatically monitors all the changes in the mix made by the sound engineer. It uses a sophisticated mathematical technique to determine if any of these changes would produce feedback. If so, the system will simultaneously reduce the volume just a bit. This prevents feedback without noticeably affecting the mix, yet still allows the engineer to make the required change. This is quite different from what sound engineers normally to do fix feedback, which is really more a treatment for feedback rather than a prevention. They usually identify when feedback has occurred and attempt to remove it by changing the mix of frequencies in the signal. Though this can be quite effective for speech, it’s problematic for music since messing with frequencies changes the musical notes you hear. Also, because sound engineers usually only treat the feedback once it has begun to occur, it can be difficult for them to correct things at the right time. They might remove some sounds that the band want the audience to hear (like if a super-vigilant sound engineer removed all of Hendrix’s feedback), or they might allow some unintentional feedback to slip through. Josh and Enrique tested their software with the help of a visiting student who just happened to have brought his guitar. The student strummed into a microphone, which sent the sound to a mixer where Enrique played with the settings. The resulting signal was then sent to a speaker. When their software ran on the mixer, there was no feedback, but when the team switched the software off, they got the characteristic squeals. Josh and Enrique’s work is part of a larger project on automatic mixing for live sound. The goal is to create a set of tools that automate as much of the routine tasks performed by a sound engineer as possible, to set them free to do more interesting stuff. For instance, one part of the project allows each musician to hear a customised mix where their own instrument is enhanced above the rest of the music. Another aspect automatically determines the preferred placement of the instruments in a stereo mix so that each sound is clearly distinguished. The automatic mixing research could allow an engineer to concentrate on the more interesting aspects of live mixing, or allow a small band to perform without the need of an experienced sound engineer. 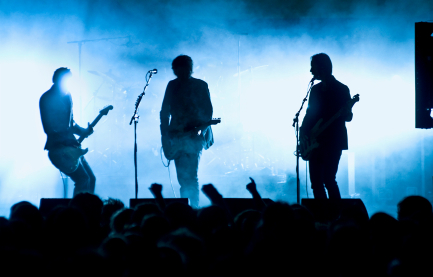 In both cases, it could lead to better quality live performances, and fewer headaches for gig-goers.